We’ve probably all bore witness to the extremities of the food trends that have come and gone. For a while, it was ma la or salted egg everything. Now that those trends have blown over, brown sugar is taking centre stage in the realm of desserts. 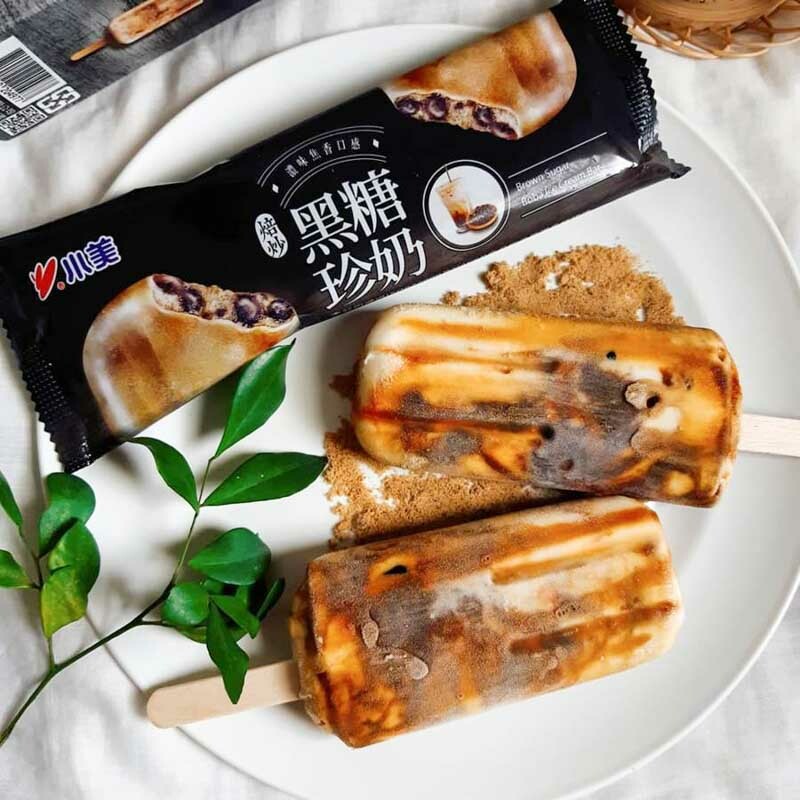 So we weren’t quite surprised when a Taiwanese ice cream company, Xiao Mei (小美), recently launched a Brown Sugar Milk Tea-flavoured ice cream, complete with chewy black pearls. 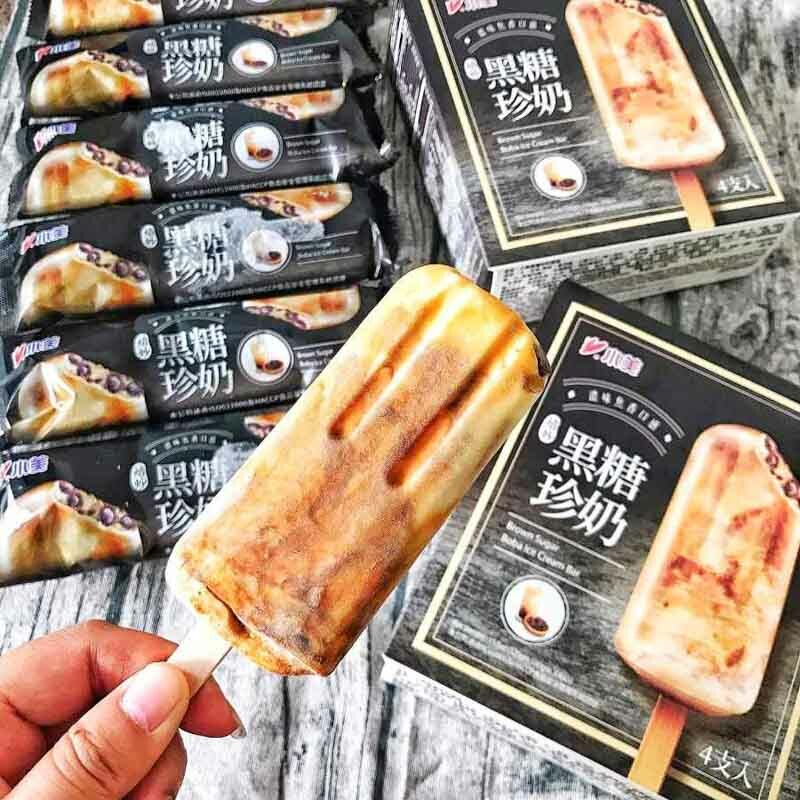 These ice cream bars boast to be exactly like the beverage, except that they’re frozen. With that, expect a milky centre surrounded by brown sugar syrup, giving that beautiful marbling we often see in our bubble tea cups. Knowing how tricky it can be to nail the perfect caramel flavour of brown sugar, we sure hope it doesn’t fail with an offensive bitterness from the burnt sugar. It’s even more impressive that the manufacturers added tapioca pearls into the ice cream for authenticity. In fact, they promise the chewiness of the pearls remains even after being placed in a freezer. 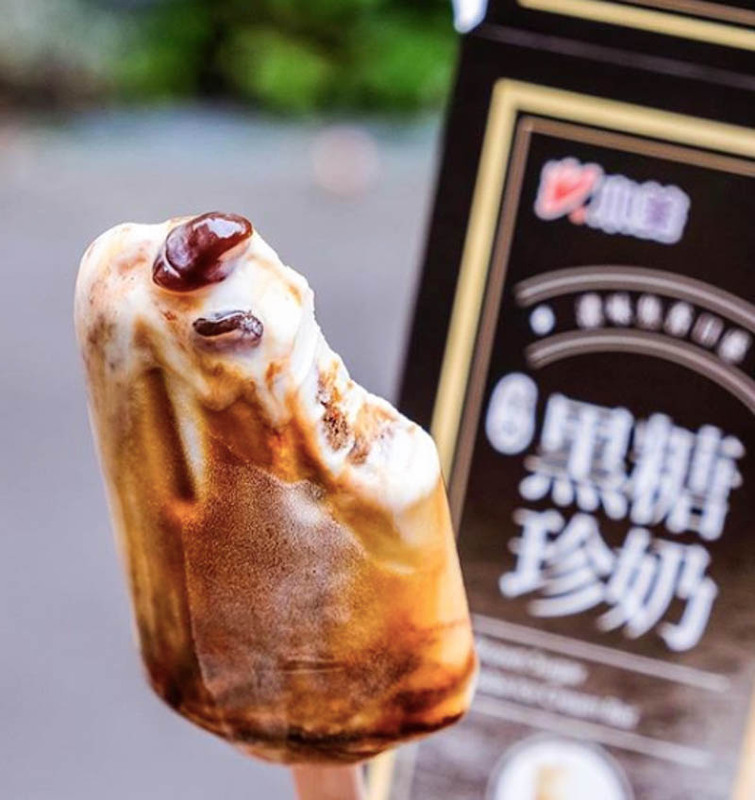 This ice cream is riding on the current hype and is available in most mini-marts and supermarkets across Taiwan. Available in a box of four (NT$96), this Brown Sugar Milk Tea ice cream might be a milk tea fan’s sweetest dream, to say the least. We might be feeling a little FOMO right now, but seeing the steady stream of Taiwan milk tea chains that continue to arrive, it’s only a matter of time before we get our hands on these sweet treats.